BNF (Bibliothèque nationale de France)’s exhibition will contain at least 400 exhibits, including photographs, song sheets, handwritten notes, and posters that have never been shown to the public before. Interviews and performances will be played throughout the exhibit. Attendees will even have access to a karaoke box to sing her greatest hits. And since she is credited as being one who made the Little Black Dress famous, her own LBD will also be on display. However, she didn’t want to be a fashion icon: “I don’t want my appearance to distract from the performance,” she once stated. 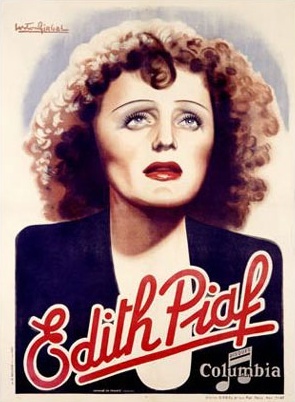 Piaf, born Edith Giovanna Gassion on Dec. 19, 1915, lived the “rags to riches” story. She grew up poor with traveling entertainer parents. Her mother was a singer and her father was an acrobat. Piaf suffered neglect from her parents, and was left with her grandmother, who owned a brothel in Normandy. There she was raised by prostitutes. Starting at age 14, she performed alongside her father on the streets. She was discovered at age 17 by Parisian cabaret club owner Louis Leplée, who named her “The Little Sparrow.” He was responsible for her big break. She became the “image of a typical French woman.” With success also came a tough life. At age 17, she had her first child, who unfortunately died at age two of meningitis and neglect. She suffered 3 car crashes, which led to life-long alcohol and morphine dependency. 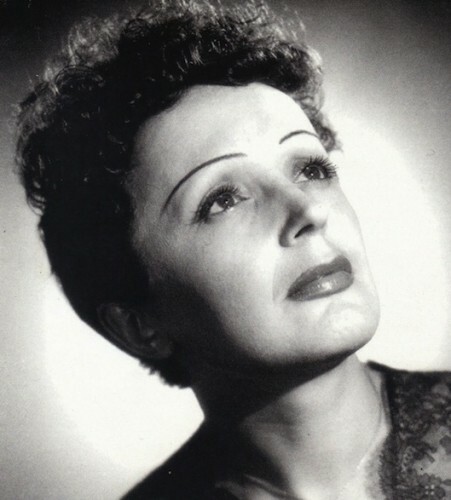 She was married twice; first to singer Jacques Pills, and the second time to haidresser-turned-singer and actor Théo Sarapo. Her second marriage caused a lot of controversy as she was 20 years his senior. Piaf died of liver cancer on October 10, 1963. She was 47. The Roman Catholic church denied a funeral mass because of her lifestyle. However, her funeral procession was attended by more than 100,000 fans. It wasn’t until 50 years after her death, in 2013, that the Catholic church granted a proper funeral mass. Her legacy has lived on, and her music is still relevant to this day. Many films and plays have been created based on her life, One of the most recent biopics about her, La Vie En Rose, directed by Olivier Dahan, won an Academy Award for Best Actress (Marion Cotillard). The BNF Piaf Exposition is open Tuesday – Saturday, 10 AM – 7 PM, and Sunday from 1 PM – 7 PM, with a 9€ admission.